As recently as the 1970s, many inmates in southern prisons lived and worked on prison farms that were not only modeled after the American slave plantation, but even occupied lands that literally were slave plantations before the Civil War, and on which working and living conditions had not changed much a century after the war. Bruce Jackson began visiting some of these prison farms in the 1960s to study black convict worksongs and folk culture. He took a camera along as means of visual note taking, but soon realized that he had an extraordinary opportunity to document a world whose harshness was so extreme that at least one prison had been declared unconstitutional. 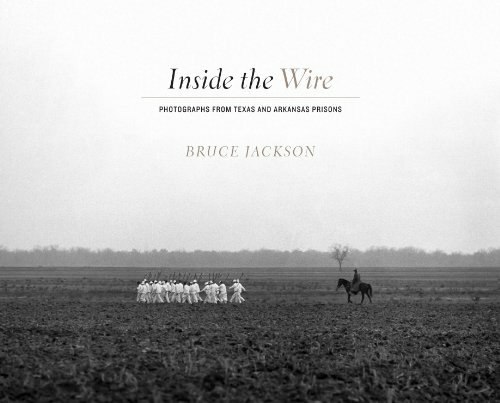 Allowed unsupervised access to prison farms in Texas and Arkansas, Jackson created an astonishing photographic record, most of which has never before been published in book form.